Brompton Cemetery, consecrated by the Bishop of London in June 1840, is one of Britain’s oldest and most distinguished garden cemeteries. 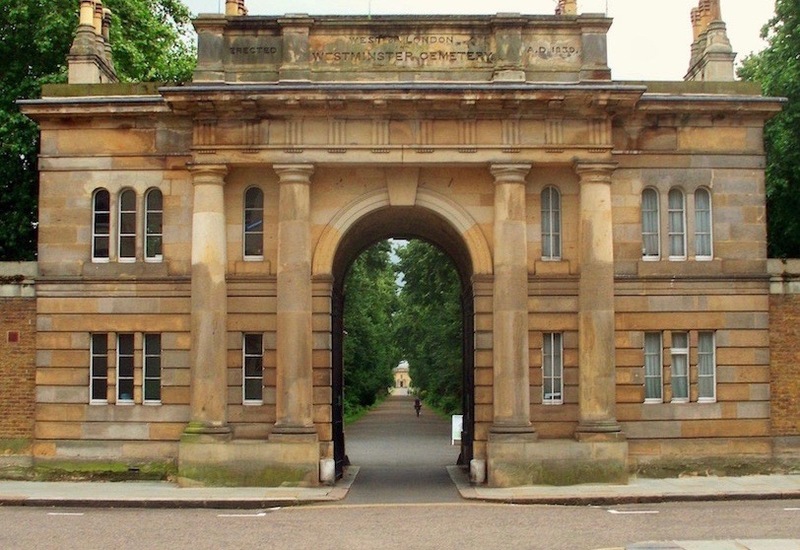 The cemetery is Grade I Listed on the Historic England Register of Historic Parks and Gardens, and all of the cemetery buildings are are Grade II* Listed. The 39-acre (16 hectare) site lies between Old Brompton and Fulham Roads, on the western border of the Royal Borough of Kensington and Chelsea, then a distant suburb and now a populous and diverse community in the heart of London. 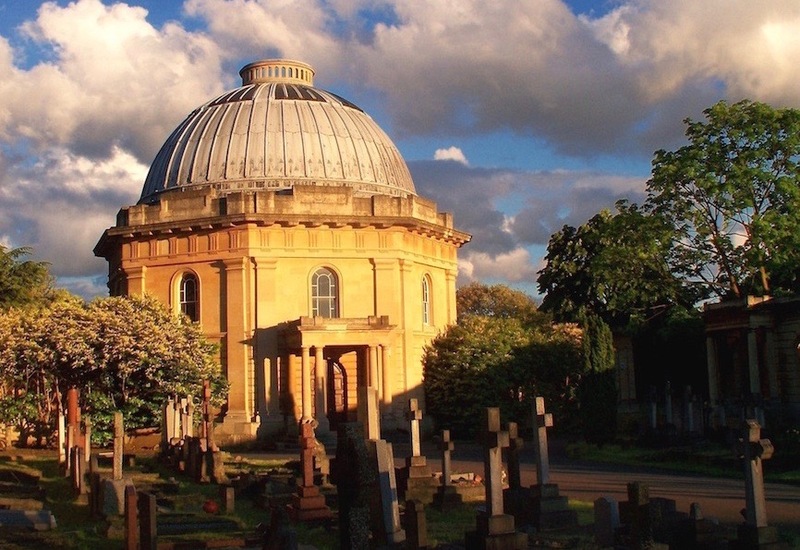 The Friends of Brompton Cemetery work to preserve this remarkable site as a model of an historic cemetery with an active role in modern society. We help to restore and maintain the cemetery’s buildings, monuments and landscape, and encourage their full use by those sympathetic to the importance, beauty, heritage and fragility of this significant cemetery. We offer visitors Sunday afternoon guided tours, group tours at any convenient time in the week, and a varied programme of events and activities. 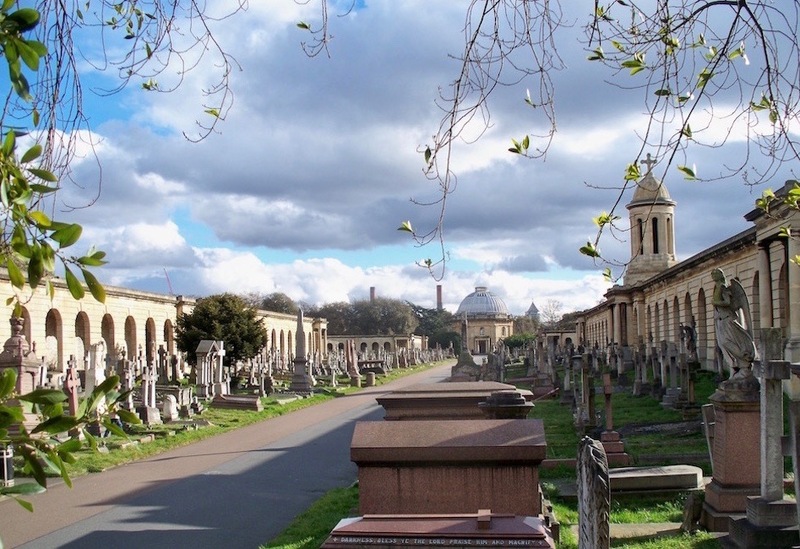 Brompton Cemetery covers 39 acres (16 hectares) within the Royal Borough of Kensington and Chelsea, in West London. The walled site has gates and lodges on Old Brompton Road to the north, and Fulham Road to the south. The tracks of the District Line run to the west, and Finborough and Ifield Roads to the east. It is managed by The Royal Parks, a registered charity and a company limited by guarantee. The cemetery is usually open from 0700 to 16.00 in winter moving in steps to 20.00 in summer. Our opening hours are available on the Royal Parks website. Parking is available on-site for grave grant holders only. 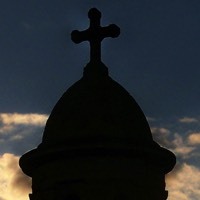 GUIDED TOURS of the Cemetery are available on the following Sundays in 2019: 10 and 24 March, 14 and 28 April, every Sunday during May, June, July and August, 8 and 22 September, 13 and 27 October and 10 and 24 November. 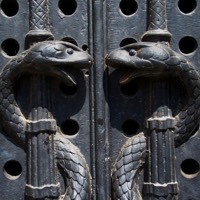 We also welcome visits for GUIDED TOURS FOR GROUPS at any convenient time during the week. For Group tours we seek a donation of £10 per person with a minimum donation of £100 ( or £12 and £120 respectively if with refreshments). 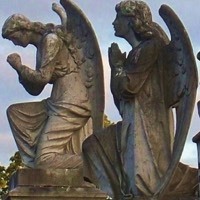 If interested please apply to fokgcevents@hotmail.co.uk or events@brompton-cemetery.org.uk.